26 Submissions for our Time Travel Anthology — is yours one of them? Later, I added the following to the prompt to explain the purpose a little more. Although your piece can be a character driven story, the prompt was designed to go beyond your characters. 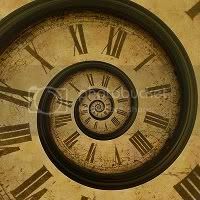 What they find in the future should have a larger component that goes beyond their story line, something that affects mankind in general or the planet, as was the case in The Time Machine by H.G. Wells. It gives you a chance to explore society a bit and how your characters react to the changes they witness. Because of this, I suggest the trip to the future be many years into the future, more than likely beyond the lifetime of your characters. The following is a list of the official submissions I have received to date, 26 of them. Although submissions are not officially being accepted anymore, if you want to write a story for the above prompt, send me an email and we can probably work something out. msl_007@live.com If nothing else, there might be room for more than one volume under this prompt. My goal is to never turn away anyone who is willing to work with me. I haven't even read most of the above submissions, so that's the next stage for me. I've had the help of a few volunteer beta readers, and I will continue to rely on them as I go through more of these submissions. If you are interested in serving as a volunteer beta reader, please send me an email. Suggestions from beta readers will help the author(s) and editors to make these stories the best they can be. I don't have any plans on rejecting any story as long as the author is willing to work with the team: me, beta readers, and editors. So, to serve as a beta reader means to help directly with the publishing process. Who's game?